Since recently everyone and their mother has heard about rosehip oil and its anti-age effects on the skin. Rosehip flowers and fruits have been widely used in medicine for treatment of various diseases and healing wounds and scars. And its seeds’ oil is also considered as one of the best natural skin rejuvenating and moisturizing substances. We decided to research what the market has to offer and distill the crème de la crème for you. 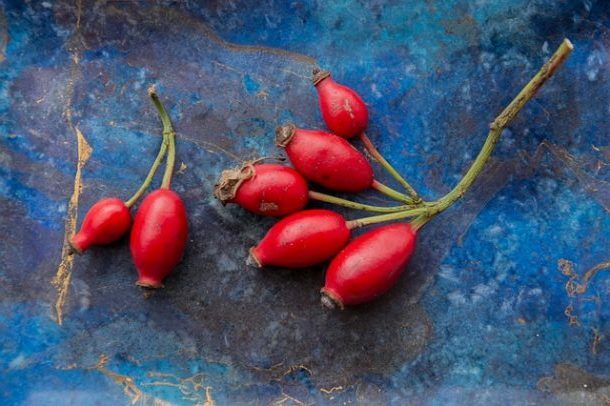 But first, let’s look at rosehip seed oil benefits and why you should consider including it in your skin care regimen. Clinical studies  showed that even single application of rosehip seed oil significantly increases skin hydration and elasticity. While the long-term use has a lasting positive effect, reaching the maximum hydration level after 2-3 months. Radha Beauty Rosehip Oil has been an all-time bestseller and is 100% natural and certified organic. It is especially effective in the treatment of post-acne scars and dark spots, dehydrated skin, adult dry acne, facial wrinkles and fine lines (the infamous “crow feet”!). Its non-greasy formula allows applying it both at night and morning and you just need a few drops to cover all face and neck. The rosy, youthful skin tone is a bonus you get on top of all the hard-core anti-aging effects. Buy on Amazon. This oil comes in a sleek dark brown glass bottle with an easy to use pipette. On top of the undoubtful long-term effects that rosehip seed oil is proven to deliver, Teddie Organics oil has shown the instant relief for rosacea, eczema and dry skin. Buy on Amazon. This rosehip seed oil is a pure bargain since you get 4 oz of organic oil for a reasonable price. Thanks to the big size of this product, you can use it in preparing your own luxurious hand cream as rosehip seed oil is also known for its benefits for nails and cuticles. Buy here. Full of precious natural ingredients, this organic moisturizer is great for making your skin plump, diminishing the appearance of fine lines and reducing dark spots. A little goes a long way thanks to its rich formula, so you only need a small amount to moisturize the entire face and neck. This product, full of vitamins and rosehip seed oil as a primary ingredient, is purely all-purpose eye cream! Great for reducing wrinkles, puffiness and sagging, it comes in an unusually big jar (for an eye cream) of 1.3 oz. Moreover, it can be used on your face and neck – luckily the affordable price allows. Valerón-Almazán, P. , Gómez-Duaso, A. , Santana-Molina, N. , García-Bello, M. and Carretero, G. (2015) Evolution of Post-Surgical Scars Treated with Pure Rosehip Seed Oil. Journal of Cosmetics, Dermatological Sciences and Applications, 5, 161-167. doi: 10.4236/jcdsa.2015.52019. Concha, J., Soto, C., Chamy, R. et al. J Amer Oil Chem Soc (2006) 83: 771. doi:10.1007/s11746-006-5013-2. This is so informational! I haven’t used rosehip oil on my skin yet, but I’ve been hunting for something that will help reduce redness. Perhaps this is the key. Love these treatment ideas for anti-aging. Great post!